The Chinese giants, Xiaomi, launched a New Year's gift package yesterday, which includes several different products at the price of 1999 yuan ($ 292). It's simply called the New Year Xiaomi, a third-party product, developed by the Luofeike Cultural Company in Shenzhen. 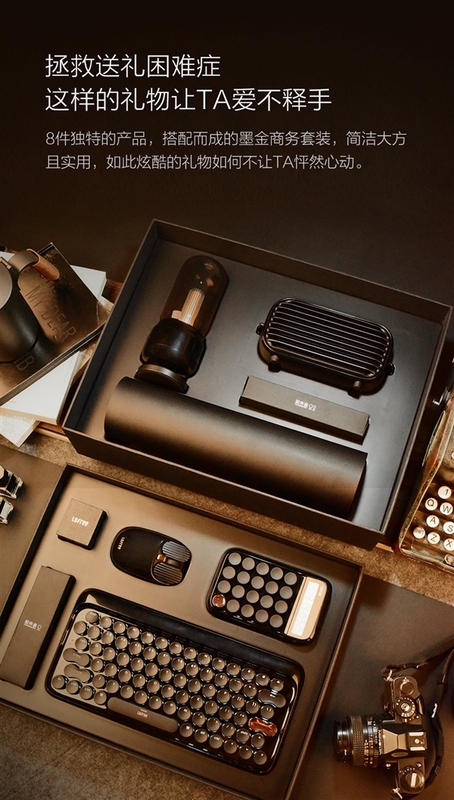 In this package, you will see a Xiaomi bluetooth speaker, Xiaomi flashlight, black bag, Xiaomi calculator, Xiaomi Dot Bluetooth keyboard, Xiaomi Maus Mouse, along with a memorable key of C.Medal. The interesting thing about this package is that all of its products use a golden / black color combination. 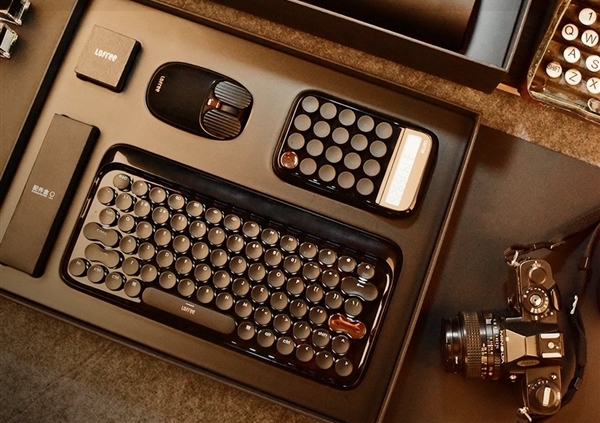 The Xiaomi mechanical keyboard has a simple shape and comes with a stylish style with a typewriter. It has a 79-key mechanical axis and supports single-color sLED backlighting, which also has a 4000mAh internal battery. The Xiaomi calculator uses a 20-key mechanical axis, measuring 148x92x35 mm and weighing 162 grams, powered by DC 1.5V. Dismissing the innovative look of the regular calculator and adding to the tedious office life, it adds a new sense of life. In the case of Xiaomi flashlight, the Lumina 2W also supports a brightness setting of 1% to 100%, and has an internal 2200mAh battery. The old style of this flashlight evokes and records the heat of time.